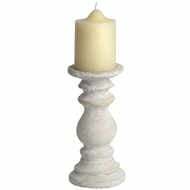 This short, stone-effect candleholder is highly functional, yet visually appealing. 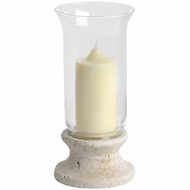 It has a round, broad base that makes it difficult to knock over. 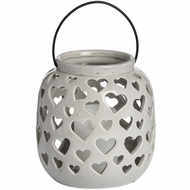 Its main body curves inwards and outwards up to the round, flat top that can hold a single, broad base candle. 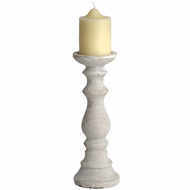 The candleholder comes in a cream stone colour and has an antiqued finish. 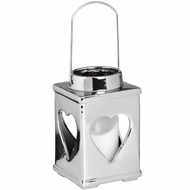 It is ideal on its own or as part of a set.